There are things we can’t control, and things we can. For example, we as individuals can’t control the price of gas, the degree to which our water pipes rust or the behavior of elected officials. We can, however, change our commuting patterns & schedule to consume less gas, adjust our behaviors to use less water per day and vote for different people in the next election. Things that we can’t control may frustrate us now, but when we consider what we can control instead of what we can’t, things become more clear and less stressful. Normally. Case in point: you can’t control the expectations and tastes of an agent, but you can control your writing and its presentation. It’s not up to the whims of a muse or the machinations of fate or the trends of the industry. You control your writing. 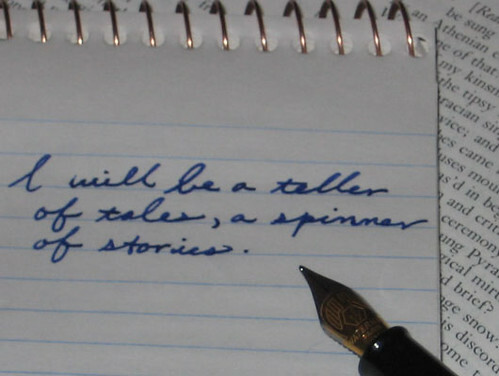 If you don’t write something, nobody else is going to write it. Period. Schedules are going to change and even get thrown into upheaval, writers get distracted by issues large and small, and when the day is winding down and you finally make it home, sometimes you just want to vegetate in front of some rapidly-moving brightly-colored images. There’s nothing wrong with any of this, it’s part of life, but you must keep in mind that the only person who can write what you want to write is you. For example, I can see the next few months of writing laid out in front of me but I know I won’t get there if I do nothing. By the end of July I want to be finished with Cold Iron. The outline tells me I have about six chapters to go. I’m getting started on Act 3, so to speak. I should be able to maintain the momentum of the narrative if I can carve out more time for it around everything else that’s being held together with chicken wire and duct tape. August is when I begin the rewrite of Citizen in the Wilds. There are at least three major changes I need to make, and there will be more than that as things take shape. I may adjust the ending to reflect a different or more coherent line of thought from our hero, even if it ends up making him less heroic. The goal is to make him more human. If that means he does something that pushes him away from the shining ideal of heroism, so be it. I may drop the current working title for something else. Not just for marketing purposes. The title of the book should tell you more about its contents, and I don’t know if Citizen in the Wilds works when our heroes are only in the Wilds for a portion of its action. There’s also the fact that when I’m done with the rewrite, the book will be different. I want it to be more unique in its content, more driven in its narrative and more immediate in its appeal. Like a prime cut of meat, it’s at a decent starting point but needs a better marinade and proper cooking time. 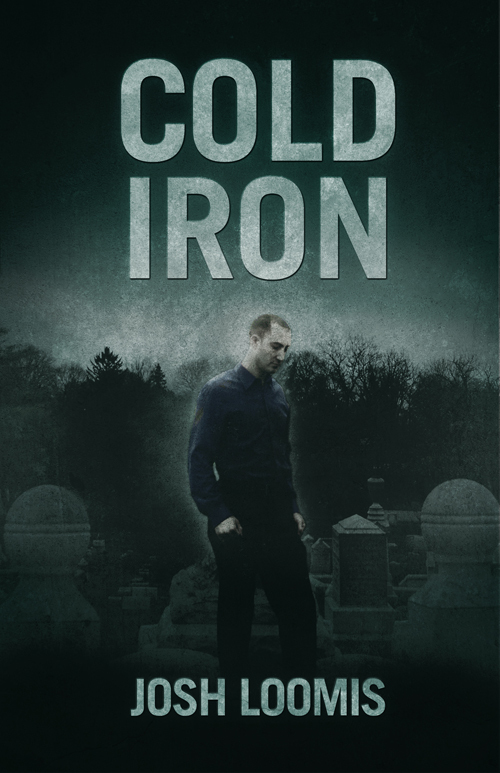 After that I begin editing Cold Iron. The pruning shears will stay out. I’ll reload the darling-slaying shotgun. I’ll vivisect the thing and ensure the characters dance on their strings exactly how I want them and look human and three-dimensional while doing so. That’s the kind of thing you need to do as a writer, I feel, from time to time. You must assume control of your work and push yourself to improve it. Otherwise, you might as well not bother, or at most try to sell yourself as a novelist for a collectible card game or a scriptwriter for Michael Bay.